KSCB’s listening area felt the first go around with severe weather Tuesday afternoon and evening. Hail seemed to be the main impact. 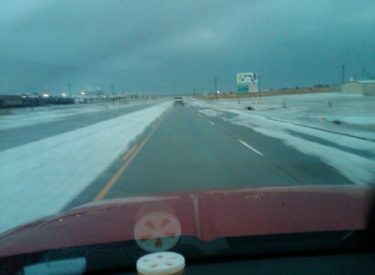 At about 6:05 p.m. quarter sized hail covered the ground off Highway 54 in Guymon. One inch diameter hail was reported in and around Guymon yesterday evening from about 5:38 to 6:05. One inch diameter hail was also reported one mile southwest of Goodwell at 5:48.